A fluid and silky lotion for broad-spectrum protection for delicate and sensitive skin. It forms an invisible film that offers optimal protection during the first seasonal sun exposure and when the sun is particularly intense. 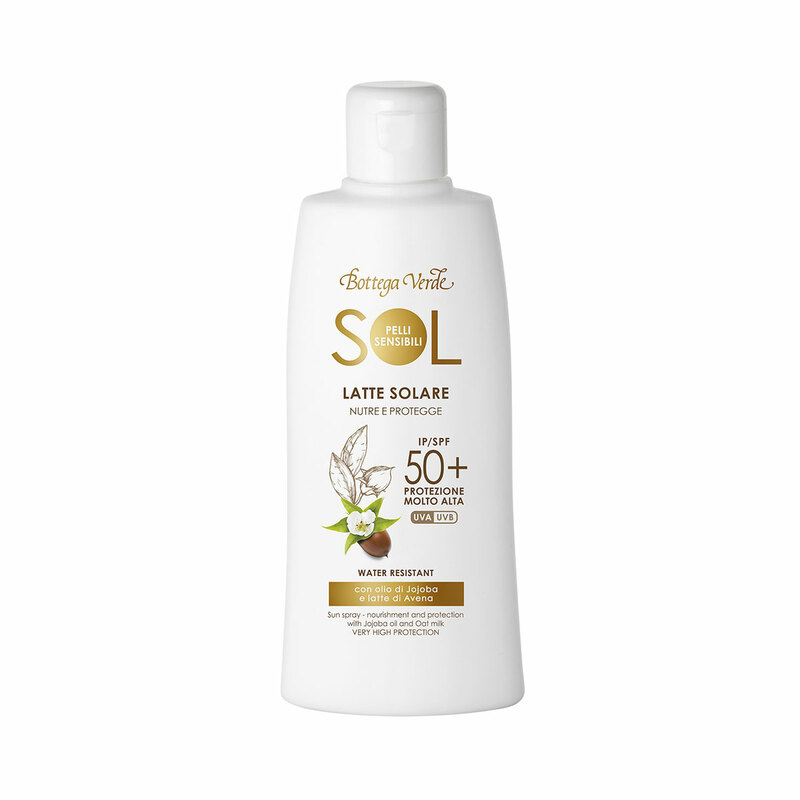 Its ingredients, such as Jojoba oil and Oat milk, have been selected for their mildness and leave your skin hydrated and wonderfully soft under the sun. Its texture makes it easy to apply and provides immediate comfort and calms irritation-prone skin with every application. Oat Milk: rich in sugar, it helps maintain the skin¿s hydrolipidic film, thereby promoting optimal hydration. Jojoba Oil: ensures nourishment and softness to even driest and most dehydrated skin. Cosmetic sunscreens with very high protection factors do not guarantee full protection from UV radiation. Direction for use:Massage onto skin before sun exposure. Apply again frequently to maintain protection, especially after sweating, swimming, or drying yourself. Characteristic:Choose it if you want a product that contains no parabens, formaldehyde releasers, silicones, or ethoxylates.